Home / Archive by category "Watain"
Stockholm has for a long time been a launching pad for musicians, a foster for music innovation and the cradle for many world-wide established metal acts. Metal genres have seen the daylight or have their roots in the darkness of the Scandinavian capital. 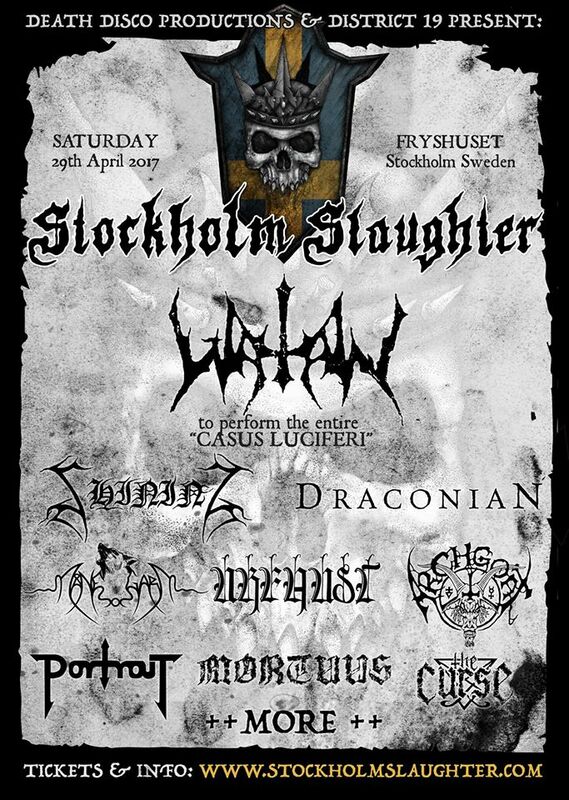 Stockholm Slaughter Festival is born to honour it and build a sacred shrine where crowds can worship its legacy. 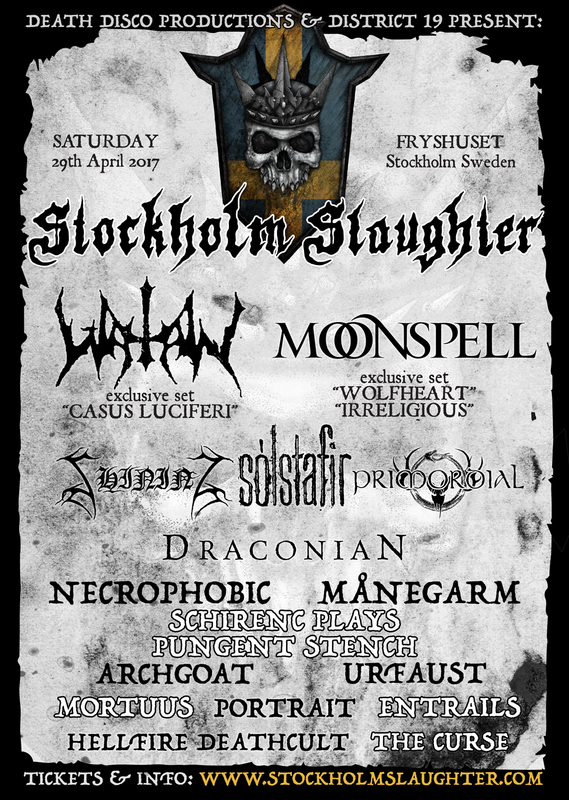 On April, the 29th 2017 several international acts will emerge to quench the thirst for what defined and shaped metal as we know it today. 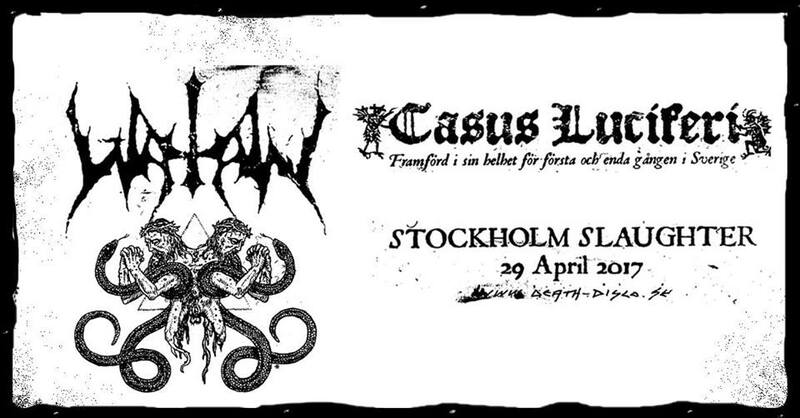 The first band to join our procession, WATAIN will play their second opus ‘Casus Luciferi’ in its entirety, the only such ritual ever to be performed on Swedish soil. No need to yearn for the old days, the past will now be resurrected and made one with the present! Several other international acts to be announced within a few weeks!